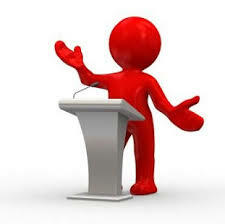 Basic objective of this article is to discuss on guideline to Persuasive Speech. A persuasive speech is characterized by steering the audience to trust and accept just what the speaker is offering them. The main aim is always to persuade and win over the audience by trying to explain to them why the offered idea is a good one. It is often not hard to win over the audience and become successful in salesmanship. It just needs a little more than common, and in many cases, a mixture of conviction and panache. Here are some tips that could be of help for speakers to be successful in their speeches and toasts.